Fullerton, CA, May 25, 2017	(Newswire.com) - On Saturday, May 20th, legendary actors and martial artists Aki Aleong and Mel Novak were inducted into the prestigious USA Martial Arts Hall of Fame at their gala in Fullerton, CA. This Hall of Fame was founded by Grandmaster Jim Thomas, Ph.D./D.Sc./Ma.Dsc. Dr. Thomas is a 10th-degree grand master and is recognized as one of 20 worldwide. He has been active in the martial arts for over half a century. In addition to serving as the head coach for Team USA, he was inducted into 6 various martial arts 'Hall of Fame' institutions and listed in 'Who's Who' in the world of Martial Arts. Grandmaster Thomas has won over 200 awards and trophies and served in the U.S. Air Force for 7 years during the Vietnam Evacuation Era. He was a former athlete for the USA World Class Competition Team and has appeared in over 8 Martial Arts Motions pictures. The U.S.A. 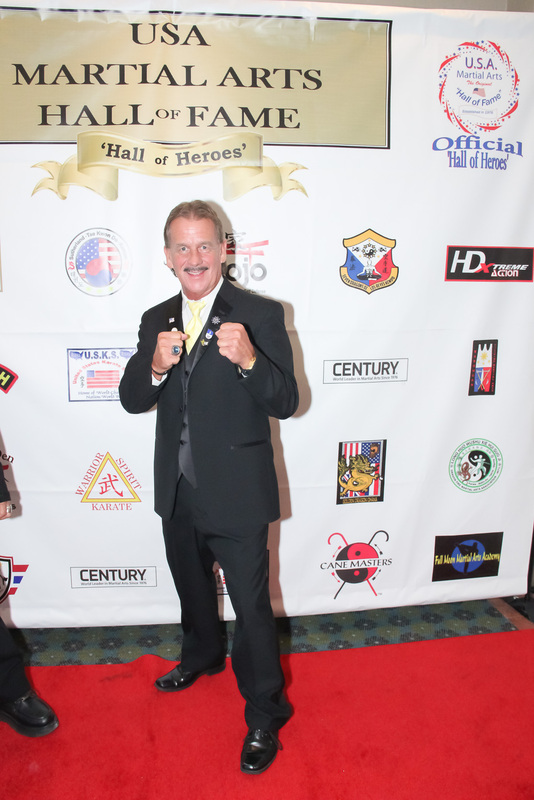 Martial Arts ‘Hall of Fame’ "Hall of Heroes" was originally created in 1976 by Grand Master Robert Trias, the first man to open a martial arts school in the U.S. In its beginning it was very small in nature and was done spontaneously at various Martial Arts functions. Grandmaster Thomas and Mike Day were called upon to orchestrate this function into what it is today. Even with the passing of Grandmaster Trias and Day, Thomas has kept this event alive himself and includes new exciting things each and every year. This event actually spanned three days from May 19th to May 21st, with seminars and classes and the gala being on the 20th. Celebrities in attendance at the gala were Kathy Long, Art Camacho and many more. 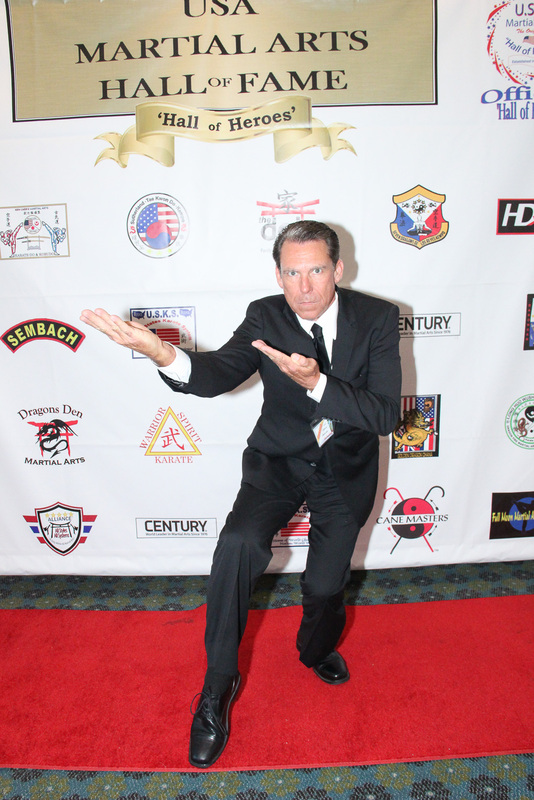 Martial artist and stand-up comic Mark Hoadley emceed the gala with his unique style of stand-up comedy. 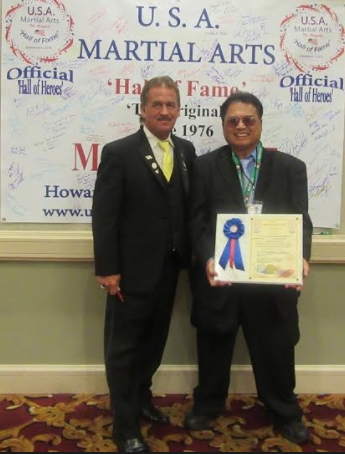 Sifu Hoadley is a three-time Hall of Fame inductee and last year's Alliance inductee. Mark frequently performs at The World Famous Comedy Store, The Ice House and the Clown House. 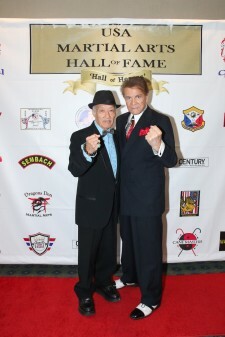 Frank Paras Jr. was also bestowed with an award. Iconic martial artist Aki Aleong has starred in over 50 feature films and 150 TV shows. He has starred in films opposite the likes of Frank Sinatra Jr., Nick Nolte, Christian Slater, Marlon Brando, Faye Dunaway, Joanne Woodward, Ben Kingsley, Ernest Borgnine, Martin Landau, Roger Moore, Peter Lawford, Olivia Hussey, and Pierce Brosnan. He has served on the National Board of the Screen Actors Guild, appointed National Chair of SAG'S EEOC and was a member of the President's Diversity/Affirmative Action Task Force. Aki’s legendary career started on Broadway in "Teahouse of the August Moon" and "The Interview." He is probably best known for portraying Senator Hidoshi during the first season of Babylon 5, as well as portraying Mr. Chiang, the aide to Nathan Bates in the weekly series of V: The Series. He also portrayed the character of Colonel Mitamura in Farewell to the King and starred in Missing in Action Part 3 opposite Chuck Norris and The Quest opposite Jean-Claude Van Damme and Roger Moore. Aleong recently starred opposite Jean-Claude Van Damme again in Pound of Flesh and just guest starred in an episode of the three-time Peabody-nominated Suspense show opposite Torohu Masamune (Teenage Mutant Ninja Turtles). For more info and to purchase tickets, please go to http://www.usamartialartshalloffame.com/california-2017 or call 714-922-1700.